Here's an odd thing. 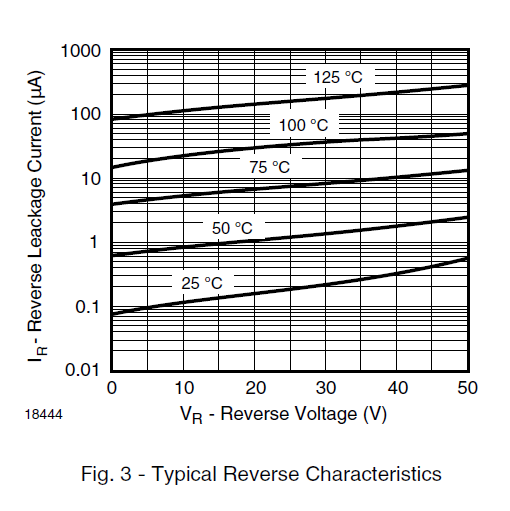 A graph from a Vishay datasheet for Schottky diode type BAT42. 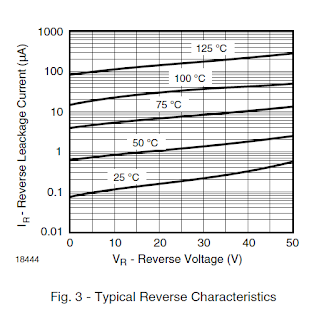 Clearly very temperature dependent, but the curious thing is what happens at zero volts - the current keeps flowing! 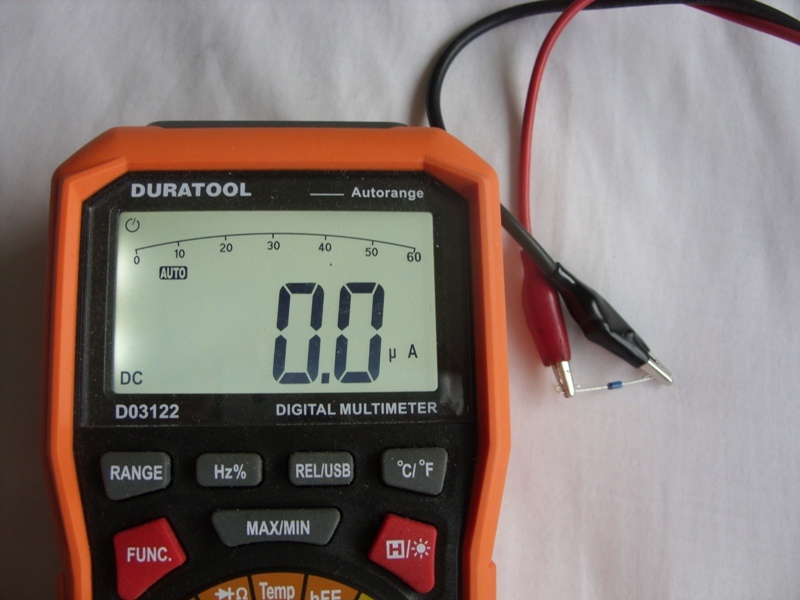 So, for example we can see that at 25 degrees C, when there is 0 Volts across the diode, there is nearly 0.1uA flowing. Perhaps there is a rapid drop to zero hidden by the frame of the graph, or have we discovered a new source of energy? Still, I thought I had better make sure, so checked with a meter. The ambient temperature, this evening, happens to be 25 degrees C, but just to make doubly sure I also tried applying some heat from a hairdryer. 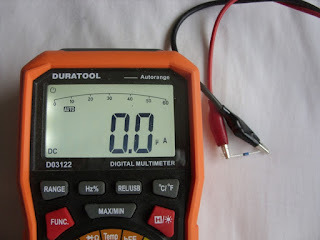 frustratingly, no matter how hot the diode got, the meter remained stubbornly on 0.0 uA. No free power then.